Laramide Orogeny FAQ - EXPLORING THE COLORADO PLATEAU. The Laramide Orogeny is a geologic event that occured over the course of 30 million years in the Late Cretacous /Early Tertiary Periods that uplifted the Colorado Plateau from the Cretatous Sea. In essence The Laramide Orogeny is the birth of The Colorado Plateau. It is understood that the uplift was caused by the subduction of the Farrallon Plate under the North American plate 1000 kilometers to the west. This event also uplifted the Rocky Mountains and the western great plains. The Laramide Orogeny is responsible for many of the most famous geologic structures on the Colorado Plateau. 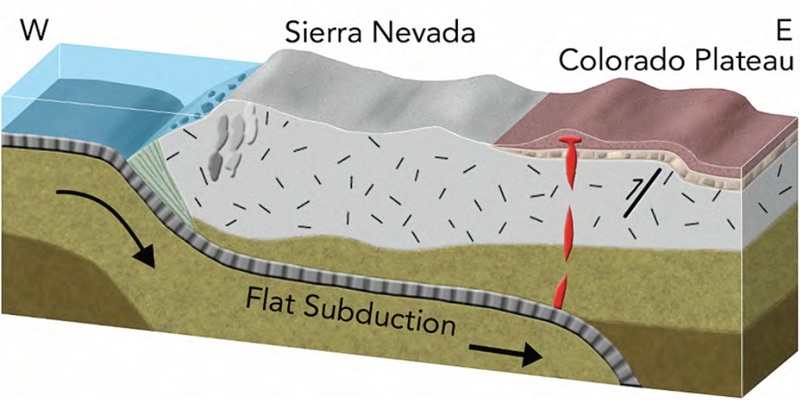 Normal fault blocking and monoclines were introduced into the geologic mix due to the rotation and twisting effect on the Colorado Plateau techtonic plate. Later erosion of a mountain chain to the west and the ancestral Rockies to the east onto the surface of The Colorado Plateau and more recent uplift events have created the geologic wonderland that exists today. 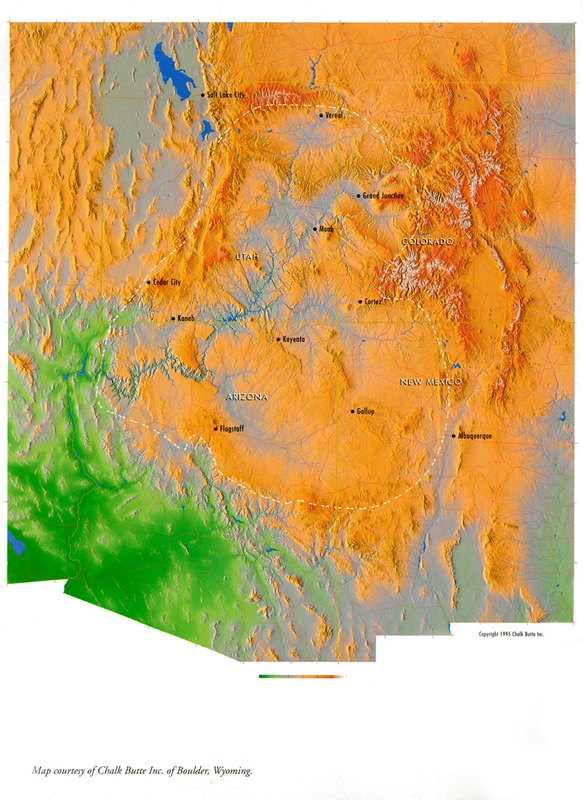 as it relates to the formation of The Colorado Plateau. that occured during the The Laramide Orogeny forming The Colorado Plateau. The Following Links provide more information, graphics and definition for The Laramide Orogeny. Very good article with photos on the The Grand Staircase and touching on The Laramide Orogeny. Very good article with photos on the The San Rafael Swell and touching on The Laramide Orogeny. Very good article with photos on the The Henry Mountains and touching on The Laramide Orogeny.